On Sunday 22nd July, Mesut Özil, the Arsenal and (former) Germany footballer announced his resignation from the German national team. In a detailed statement (in English), he argued that he was the subject of racism and that he could not play for the national team whilst his commitment to Germany was constantly questioned. As he eruditely argued, ‘I’m a German when we win, an immigrant when we lose’. The debate followed photo shoots that Özil and İlkay Gündoğan (then of Manchester City) had in London with the autocratic Turkish president, Recep Tayyip Erdoğan who has a long record of human rights abuses. Mesut Özil is converting a crisis caused by his politically important action into a racism debate. As a person who has recently immigrated to Europe, I agree with him that the racism debate is important, and the everyday racism is tormenting all people of foreign decent. I do not agree with him that what he is dealing with right now is about racism. It is about him supporting an openly anti-German autocrat, and not assuring the German public that he is committed to the democratic values that Germany is build upon and Erdoğan is challenging. I completely agree with Irak’s discussion of the Turkish president. It is well known about what is happening in Turkey to the media, opposition and universities. I am categorically not giving Erdoğan or Özil a free pass on this. What I am arguing is that this has not been the legitimate debate in Germany. Therefore, this article argues against Irak’s position that this is not racism. He spectacularly misses the entire debate that has taken place in Germany. What has occurred in the media, political debate and statements from DFB officials, including its president Reinhard Grindel, has all been to question Özil’s nationality. He is not allowed a dual-culture. He cannot be Turkish and German. He has to be only German. The popular debate in Germany has been racist and Özil has been right to call it out. If the debate is about having one’s picture taken with an autocratic government, then where was the popular debate when the Bundelsiga signed a deal with China in 2016. Does the image of Angela Merkel and the DFB president Reinhard Grindel not provoke questions about ‘German values’ and whether they should be photographed with autocrats? Özil specifically addressed this contradiction in his resignation statement. He identified that Lothar Matthäus was photographed with Vladimir Putin and stated that ‘I took part in five World Cups as a player and five more as an official. And I can say that Russia manged to organize the best tournament in recent times. Thank you very much for this.’ (see here). Matthäus was also photographed with Putin holding a football jersey with Putin’s name on it. The parallel’s with the image of Özil and Gündoğan with Erdoğan are stark. Yet there was no popular debate about Matthäus’ actions. This was because the debate wasn’t about being photographed with autocrats. The debate, as Özil correctly states, is about racism. Irak suggests that Özil should be making a stand and challenging Erdoğan. I am not arguing against this. It’s a different argument. That argument is whether footballers should be standing up to politicians. We can then have the argument about Özil, Matthäus, Salah, and others. But to single out Özil and ignore the racism just reinforces the racism and silences the lived experiences of many children from immigrant backgrounds and the constant justification that they have to make to be included. This is because the debate has been about whether Özil is German or not. It is all about his ethnic background and supposed commitment to Germany. This is why it is racism. The German journalist Felix Tamsut has clearly outlined when Ozil has done this: https://twitter.com/ftamsut/status/1016979172047147009?s=19. So I went through Google’s back pages to see what MÖ previously said about Germany, Turkey and beyond. Özil, like many other children with immigrant backgrounds, has constantly had to defend his position and his ‘German-ness’. As a white British male, I have never had to justify my nationality, even though I am critical of nationalism. No one has told me to choose sides. Yet descendants of immigrants constantly have to justify themselves. He feels his connection to the “homeland” is normal and should not be questioned. He also feels ostracized and alienated, another item in Safran’s checklist. These feelings are not abnormal, not even unusual. However, Özil should decide between being a diaspora member and becoming a diaspora leader. His actions and feelings are perfectly normal for a member, but not for a leader. As a community leader, he should have stepped out of this mentality, battled against adversity and paved the way for the generations to come. He argues that that Özil should be a community leader and that he should be aware of the debates in Germany, and about Erdoğan, and not reinforce the divide that afflicts diaspora members across the globe. Irak seems to be arguing that Özil should be the ‘good immigrant’ who should not hold views that they can be part of their ancestors culture, that they should not feel ostracised or alienated, and most of all should not call out racism. 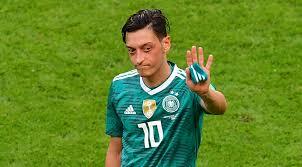 In the fallout from Die Mannscahft’s early exit from the World Cup, Özil was consistently singled out for criticism about his performances. The DFB president, Grindel, said that the Arsenal midfielder has ‘disappointed many fans’ and Oliver Bierhoff said that they should have dropped him. The ex-coach, Ottmar Hitzfeld, also suggested Özil should be left at home. The German team’s hashtag was #together. There was precious little togetherness towards all players. Rather than reinforce narratives that immigrants and their children have to keep justifying themselves, we should be rightly condemning his tacit support of an authoritarian president. 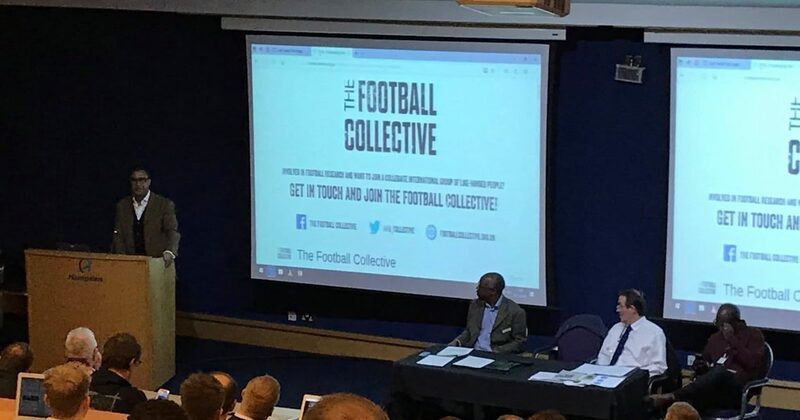 We should have the debate about whether athletes should be political leaders (I’m sure we’re all waiting for Jordan Henderson’s comments on austerity). But we also need to condemn the racism that has surrounded Özil and many other people who constantly have to justify their positions.